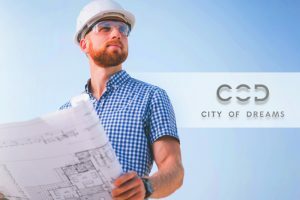 Cyprus Casinos Ltd. is just days away from announcing the winning contractor for the construction of the City of Dreams Mediterranean integrated resort, business news outlet the Financial Mirror reported Thursday citing people familiar with the ongoing bidding process. 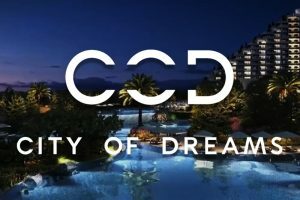 Gaming and hospitality giant Melco Resorts & Entertainment was selected in the fall of 2016 as the preferred developer of what would be the first casino resort in the Republic of Cyprus. The company and its local partner, Cyprus Phassouri (Zakaki) Ltd., originally planned to invest €550 million in the property’s development but has recently revealed plans to up that original investment. The Financial Mirror reported yesterday that Melco and its local gaming arm Cyprus Casinos are close to making their final decision on which one of three bidders will build the Cyprus resort. The identity of the preferred contractor is to be revealed in the coming days. The announcement will be followed by the immediate signing of the necessary paperwork. Melco is expected to break ground on City of Dreams Mediterranean by April. The gaming and hospitality giant targets 2021 opening of the property. Sources told the Financial Mirror that three joint ventures are bidding for the right to build what would be Cyprus’ first casino resort and the largest property of this kind in Europe, with those being Greek developers Terna and J&P Avax, France’s Bouygues Construction Group and its local partner Cybarco, and Consolidated Contractors Company, known to be one of the largest construction companies in the Middle East. The property will be built in the Zakaki area in the western part of the city of Limassol. It will feature a five-star hotel, multiple food and beverage facilities, retail space, a conference center, and a number of other attractions. As mentioned earlier, the resort will also include a casino with Las Vegas-style gaming options. Last summer, Cyprus Casinos debuted a temporary gaming facility in Limassol that will be operational while the main resort and casino are under construction. As part of Melco’s license from Cypriot regulators, the company will be able to operate four satellite casinos around the island nation. The first such facilities opened doors late last year – one in the capital Nicosia and the other at Larnaca International Airport. The other two will be launched later this year in Paphos and Ayia Napa. Cyprus is looking to boost its tourism product and become a year-round tourism hub, and lawmakers believe City of Dreams Mediterranean will play an instrumental role in its efforts. Cyprus’ first Deputy Minister for Tourism, Savvas Perdios, has recently said that Melco and its casinos would turn into an important contributor to the nation’s tourism industry and would help it cement its reputation as a “popular and must-visit destination.” Mr. Perdios is heading the island republic’s newly-formed Deputy Ministry for Tourism.